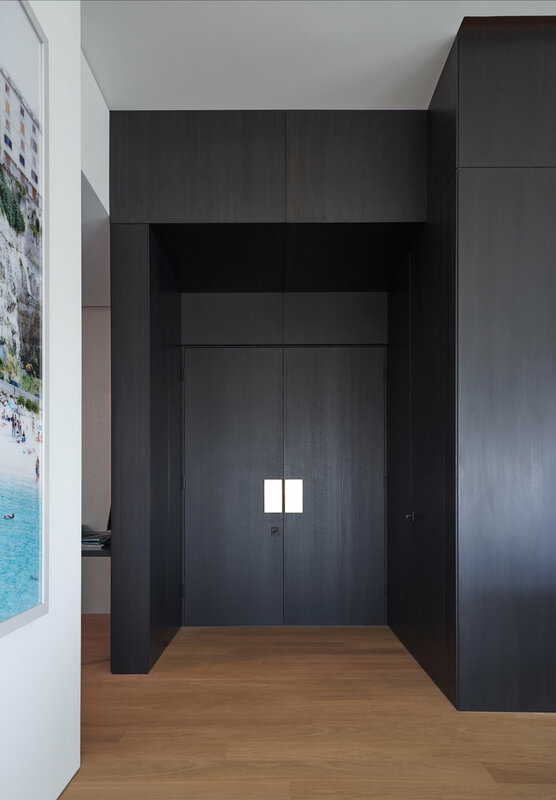 This custom wide-plank floor by Paulin Laurent of Beauxbois was developed for a private residence in this famed building on the border of West Hollywood and Beverly Hills, California. Premium French oak was lightly brushed and oil finished in a style called “Ghost”. This invisible finish penetrates and protects the floor while preserving the look and feel of raw, unfinished wood. Legal Copyright 2018. Ian Saude Studio. All rights reserved. Outwork Design Co.